My first trip of the summer concluded last weekend and I had a grand time! I experienced some difficulties, but am choosing to see them as part of the overall experience instead of a big negative. I shared in a recent blog about three trips I’m planning this summer and so far, the summer is off to a great start. This first trip was a business trip to WordCamp Kansas City. WordCamps are held all over the globe and are conferences designed for WordPress users. This blog you’re reading right now is using WordPress (it’s a content management system for websites and blogs). 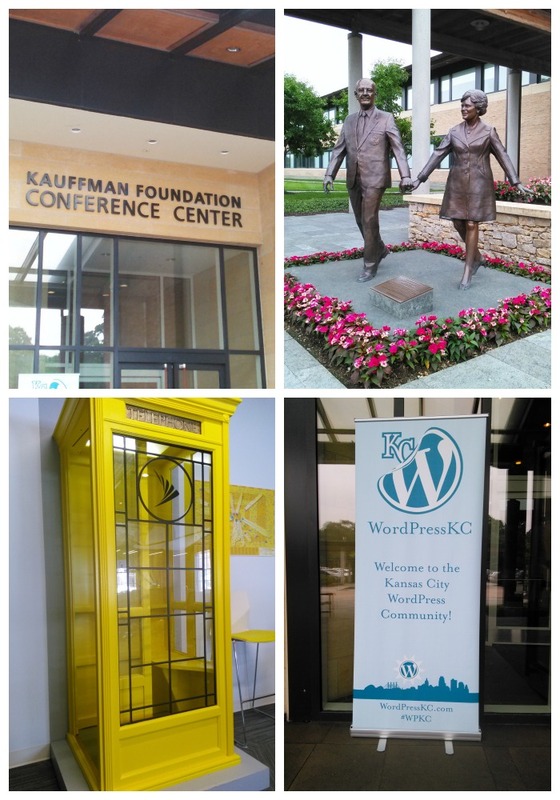 I was a speaker and also a participant in WordCamp KC. I’ve been involved with WordCamp Fayetteville (coming Aug. 1) for six years but this was my first time attending WordCamp Kansas City. I loved the city, the conference, the food, and all the new people I met. I have tons of photos so I tried grouping them in collages to make this easier. There were clouds and rain pretty much the whole time. The first shot is going up there and the other two are coming home. Most of the difficulties were involving my health, which led to me missing many sessions because I needed extra rest. I’m grateful for the #WCKC twitter feed and the fact that the slides are available on the WCKC website. It’s not the same as attending each session, but I was able to capture highlights. I also presented two sessions and both were pretty well received. I’m presenting tweaked versions of both my Writing in WordPress for Beginners and How/Why Businesses Should Blog at WordCamp Fayetteville. WCKC had great sessions that were incredibly well organized and valuable. Yes, that last slide is a picture someone took during one of my talks. I’m still processing what I learned, but my biggest take-aways were a renewed interest in vlogging and podcasting; and better understanding how to meet client needs instead of trying to sell them on an idea. Sessions were held in two different Kansas City buildings. The first two days were in the Kauffman Conference Center and the last day was at the Sprint Accelerator. Both had interesting architecture and features inside and out. Each night we also had some sort of social gathering. I attended the speakers dinner Friday night, the main social Saturday night and skipped Sunday’s social so I could get home. 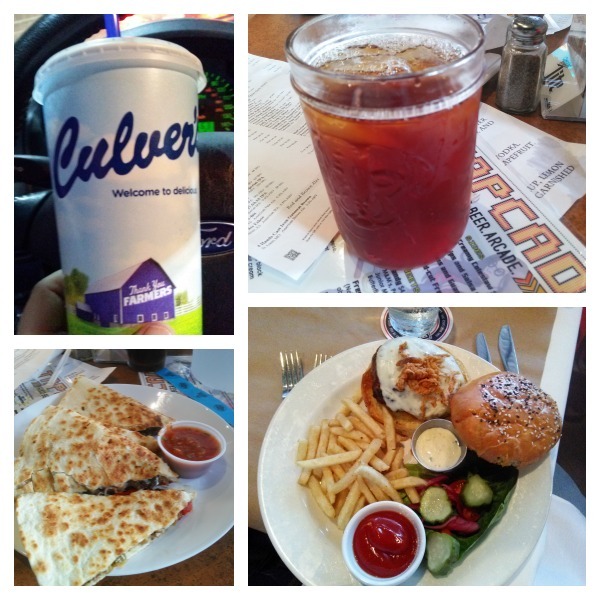 I did try a new-to-me fast food place on the way home that was pretty good (Culver’s)! Had a great variety of food at all new-to-me places, even the chains. That one drink is just ice tea but I loved how they put it in Mason jars. The other drink is from Culver’s. The quesadilla was from Tapcade and the burger was from the Grant Street Cafe. 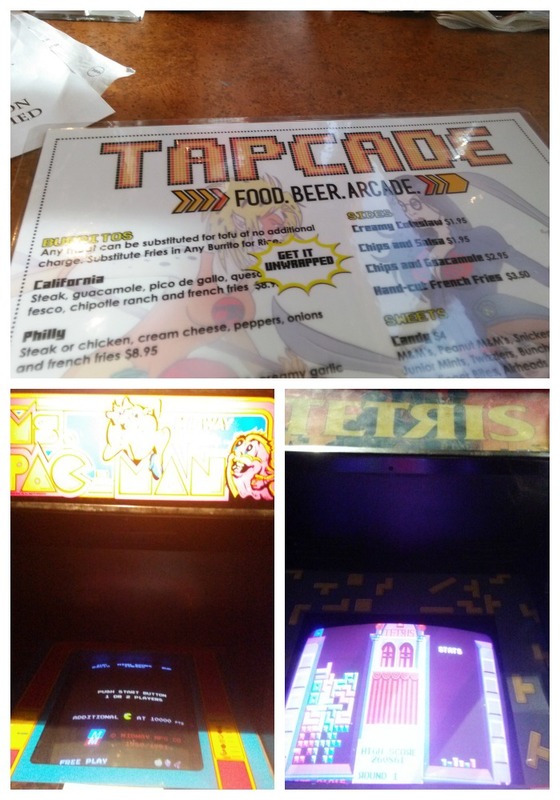 One of my favorite places was Tapcade, where we had the Saturday night social. Delicious quesadilla and they had retro video games throughout the entire place. We got all you can play bands for $2 (special price for our group). I got a big kick out of playing Ms. PacMan and Tetris! 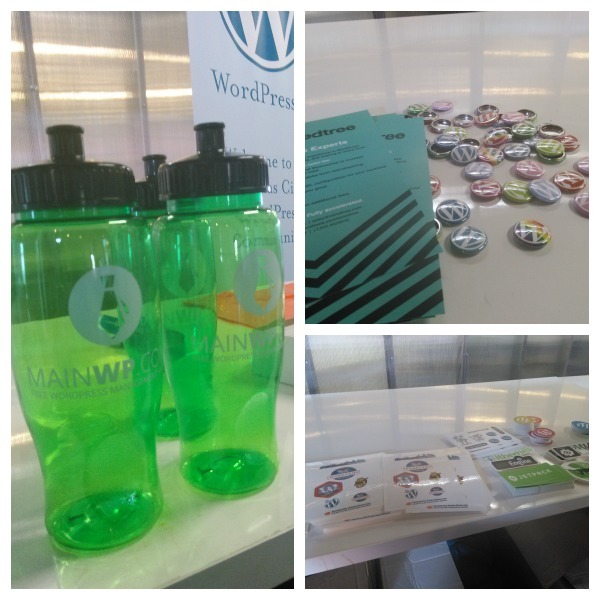 The conference also had its usual WordCamp swag including bottles, pins, stickers, etc. Several friends from Northwest Arkansas also attended WordCamp KC and we had fun learning together and developing ideas for the WordCamp Fayetteville that we’re all working on together. I am already looking forward to next year’s WCKC and would love to visit Kansas City again when I can see the sights.